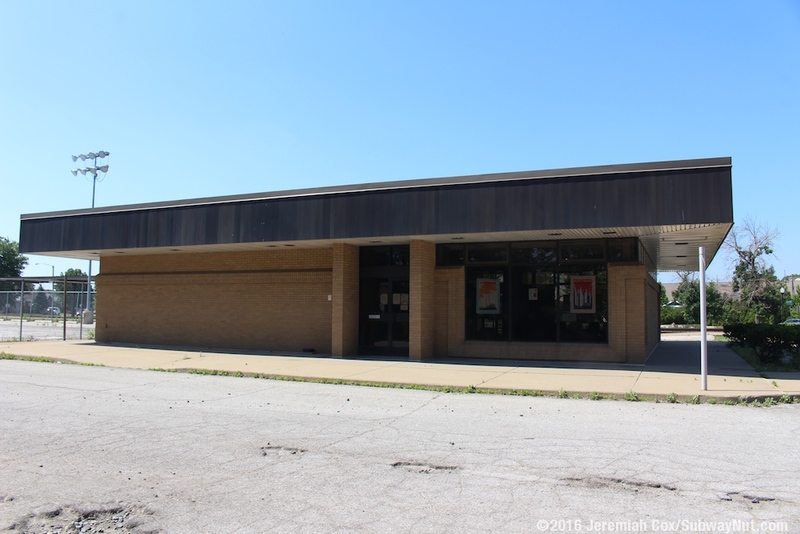 Hammond-Whiting, Indiana is an AmStation that opened on September 11, 1982. 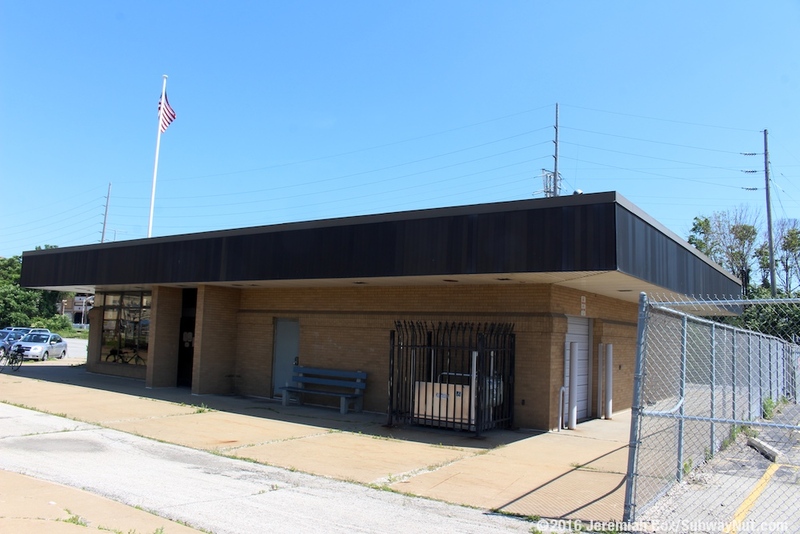 The station was built along the mainline into Chicago where the New York Central and Pennsylvania Railroads mainlines used to run parallel to each other along the southern shore of Lake Michigan. 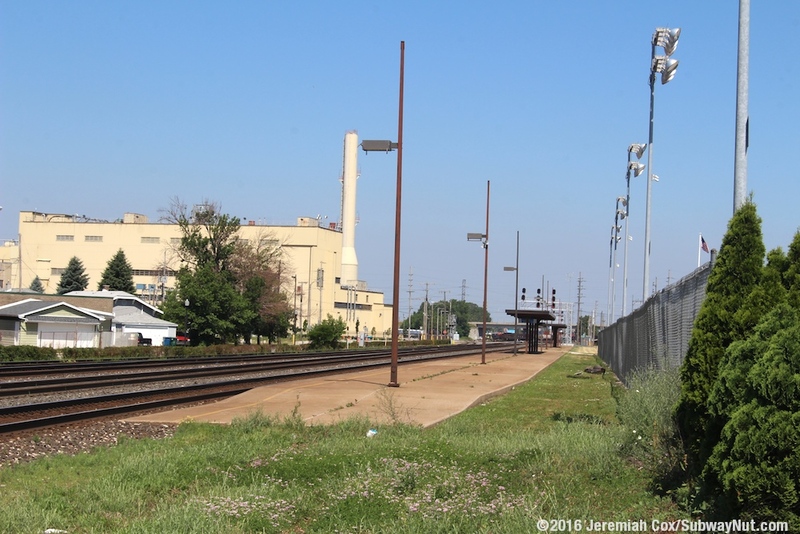 The only four tracks that still in use by Amtrak are the former Pennsylvania Railroad Tracks, now controlled by Norfolk Southern that are some of the busiest in the country. The station and parking lot are built upon the former New York Central ROW, although the station and parking lot are nestled between two sets of railroad tracks. 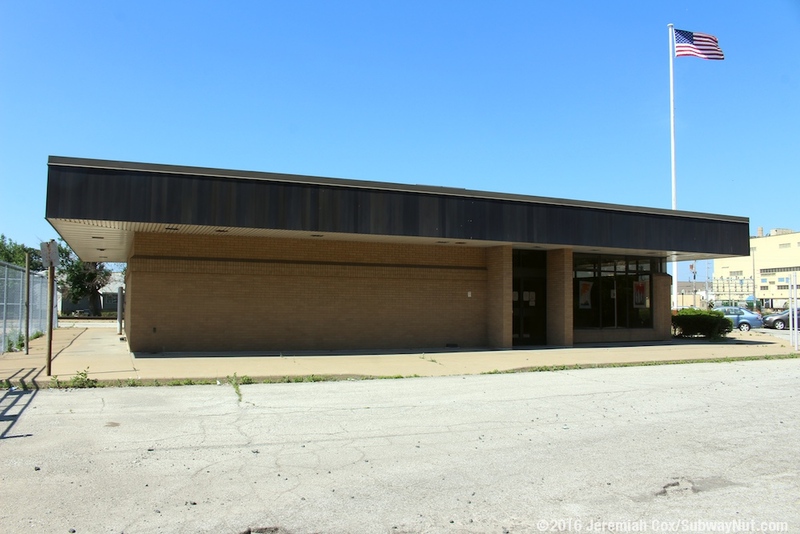 The stop was built to be a modern park & ride station for Southern Chicago Suburbs and Northwest Indiana passengers and was a full service station, staffed by an agent that provided baggage service on all trains that passed through the area when it opened. 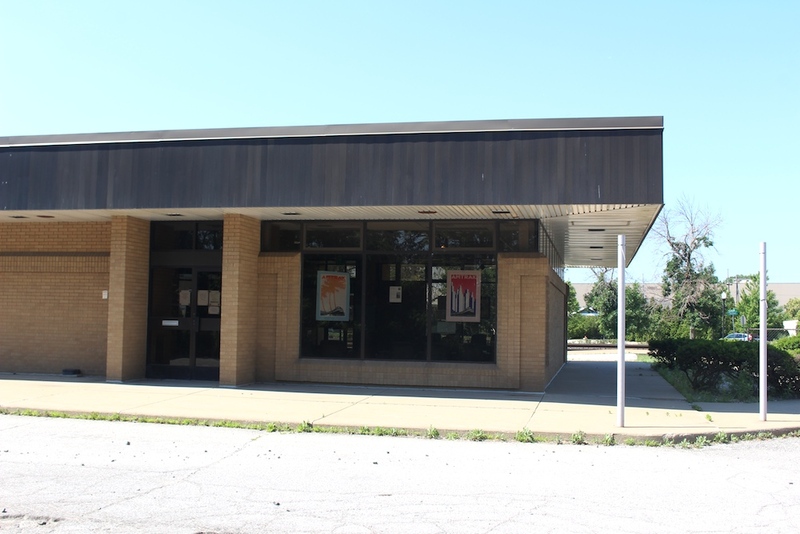 When the station opened the long-distance trains stopping were the Capital Limited, Cardinal (rerouted away from Hammond-Whiting via Indianapolis in April 1986), Broadway Limited, and Lake Shore Limited, plus the regional Michigan service trains: the Wolverine, International Limited, Lake Cities, and Twilight Limited, plus the weekdays-only commuter oriented trains the Indiana Connection, and Calumet to Valparaiso. 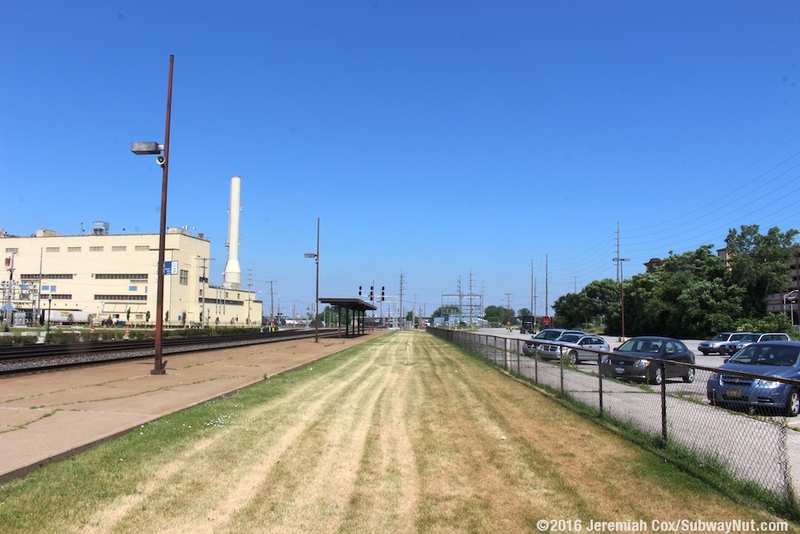 When the Pere Marquette entered service on August 5, 1984 it also stopped here. As recently as April 2001 every train (except for the Wolverine) stopped. At this time the trains were the long-distance Three Rivers, Pennsylvanian, Capital and Lake Shore Limiteds, plus the Lake Cities, Twilight Limited (the names of the other two trains to Detroit/Pontiac), and International. 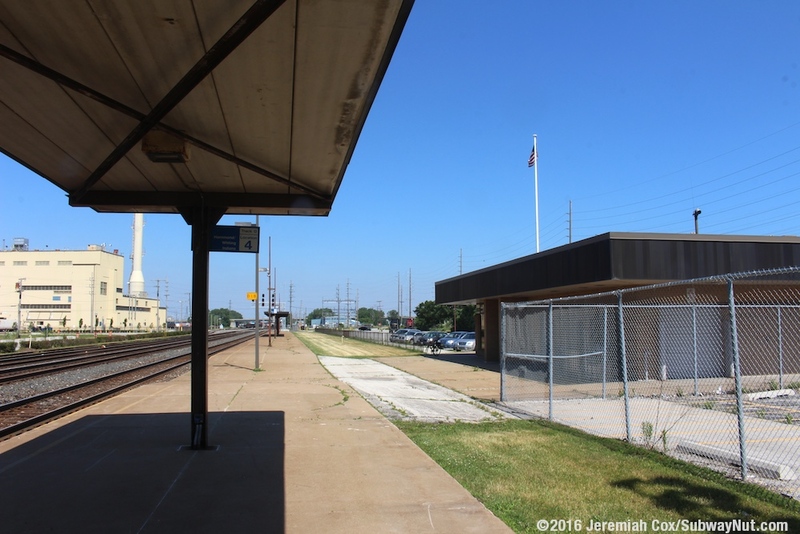 Unfortunately since the station is along an extremely active freight ROW and has just one side platform (there are switches though at each end of the station) service to Hammond was cut back starting with the April 29, 2001 schedule change. 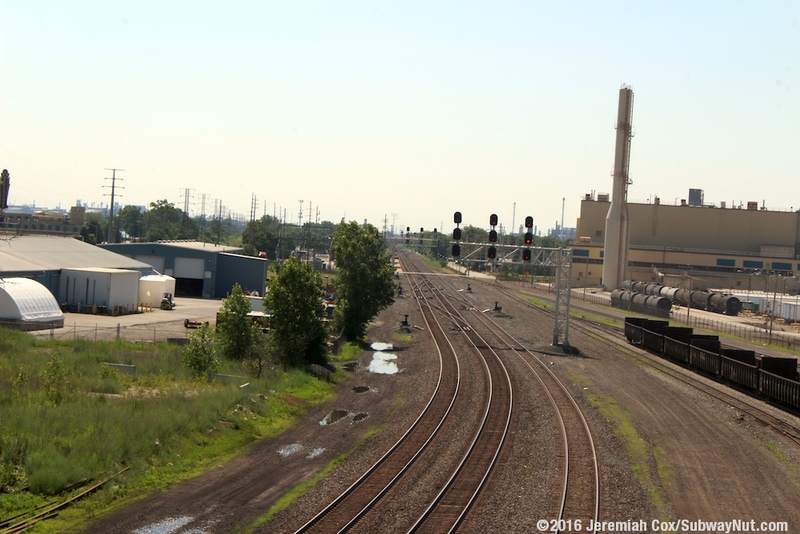 These changes saw Michigan service continue to be reduced to only the Lake Cities and Twilight Limited with Pere Marquette and International stop discontinued. In April 2002 it appears baggage service at the station was discontinued along with Capital Limited stop service ending. In 2003 the Capital Limited resumed service and Lake Shore Limited service was discontinued. This same year the Pennsylvanian route was cut-back to Pittsburg although the Three Rivers continued to serve the station until it was discontinued on March 7, 2005. 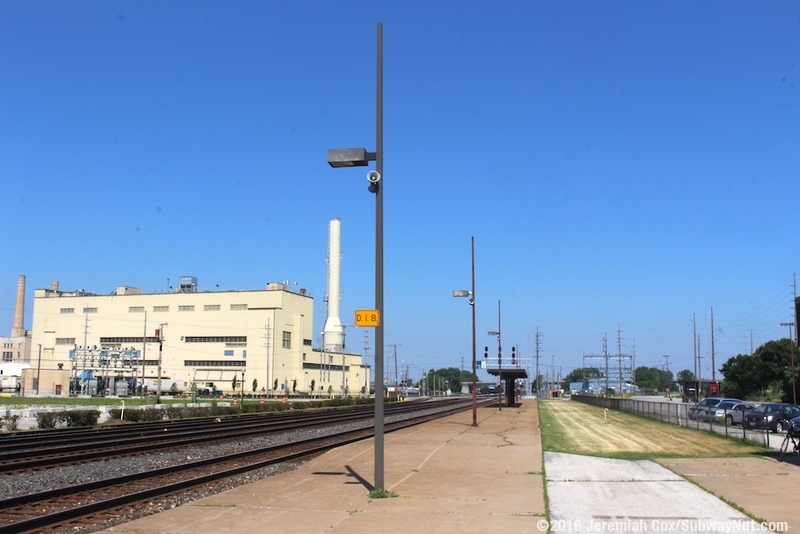 The final long-distance service to stop in Hammond-Whiting was the Capital Limited this same year with service ending at some point between the April and October 2005 schedule changes. 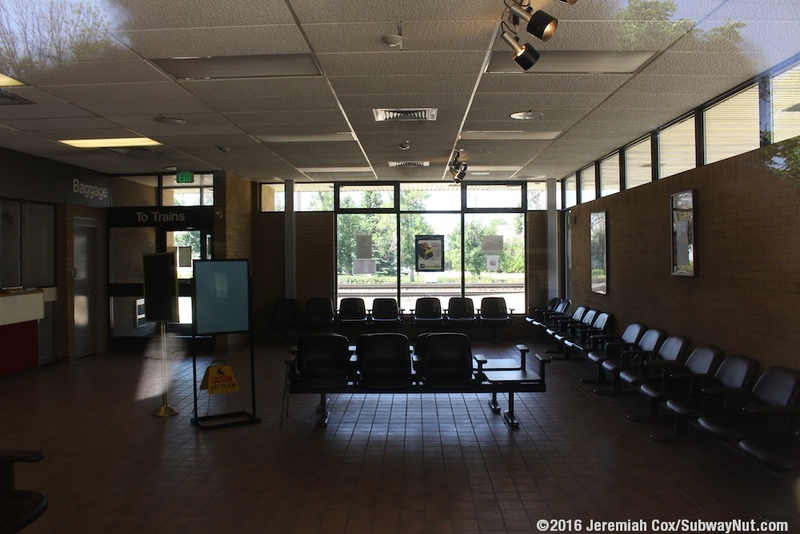 At this same time the Amtrak ticket office was closed. Today train service is only provided by two remaining Wolverine services per day. 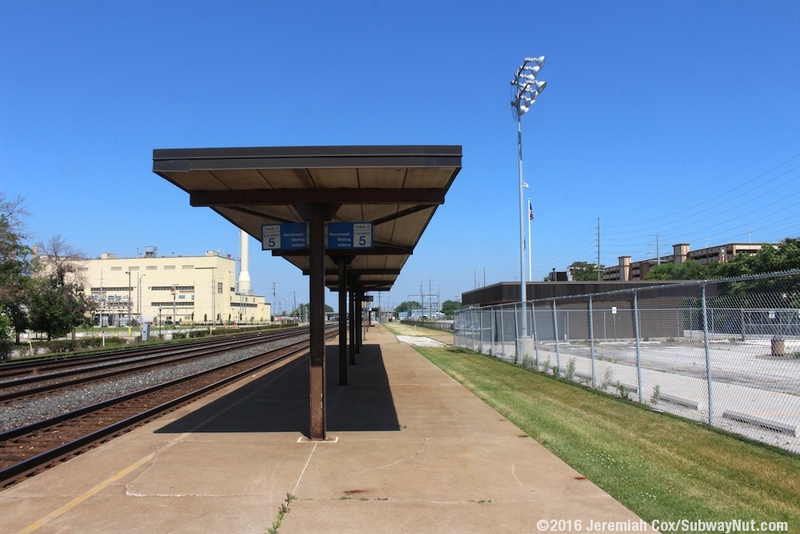 The station itself consists of a long platform that runs between the grade-crossing of Calumet Avenue and Lake Avenue. 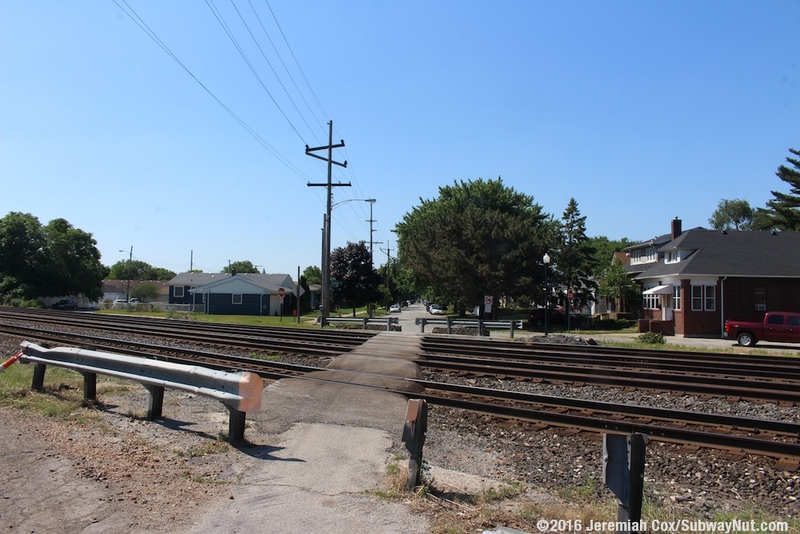 These streets have seen their grade-crossings partially removed, with Calumet Avenue providing the only access to the station from the south (an electric fence blocks access from continuing acorss) with Lake Avenue providing the only access to the north to the Horseshoe Casino and Lake Michigan. 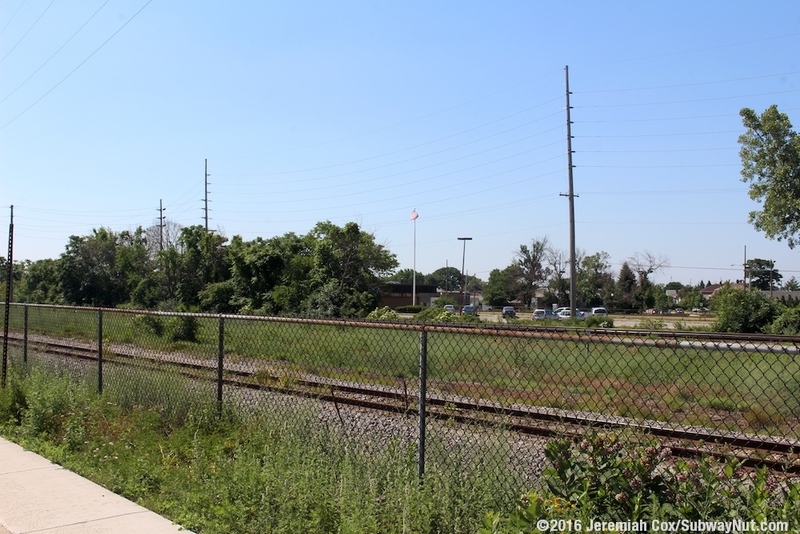 Lake Avenue crosses the Amtrak and NS tracks on an unimproved pedestrian grade-crossing, with no crossing signs or bells. 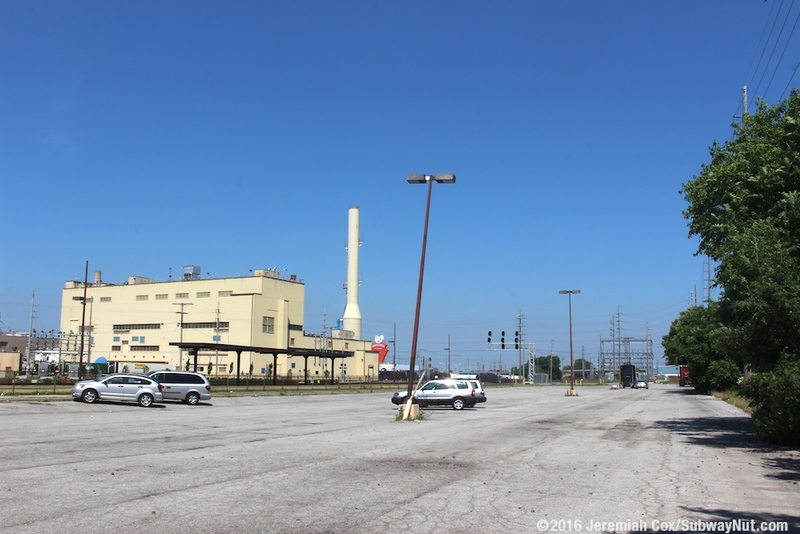 The reason for this is to make motorists going to the Horseshoe Casino use the Casino Center Drive vehicle (with a narrow sidewalk) bridge northwest of the station across the rail tracks. 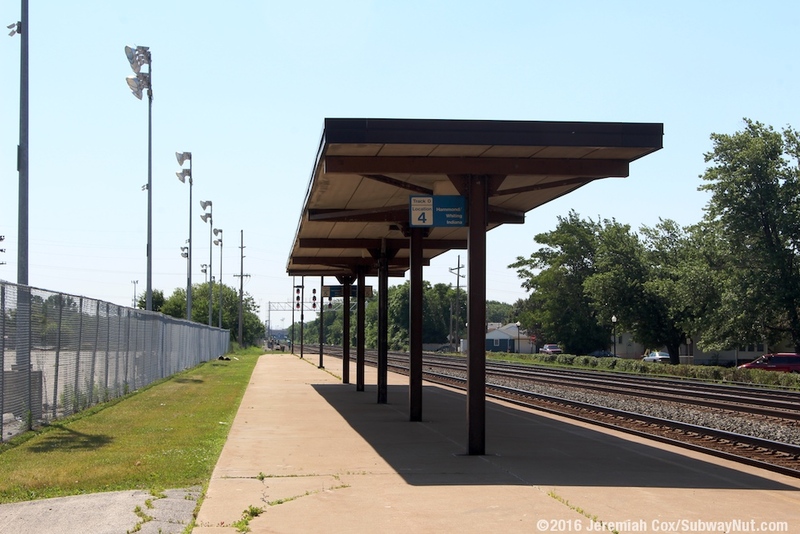 The platform is low-level with just a yellow line and even some weeds growing in cracks in the concrete. This platform is along track 2 with two small metal canopy structures at each end of the platform, far away from the Amstation in the middle. The platform was designed so a second track could be added, making the platform an island platform. 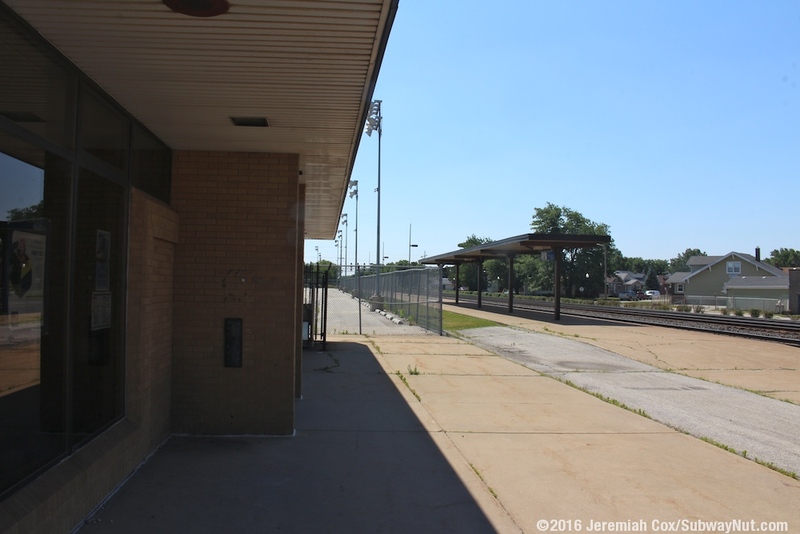 The evidence of this is a grassy area wide enough to fit another track between the platform and the parallel fence. The tall brown lampposts have a series of (many have fallen off) small blue Track 2 or Track 0 (facing the grassy area) Location 1 or 2, ect. Hammond/Whiting Indiana signs. 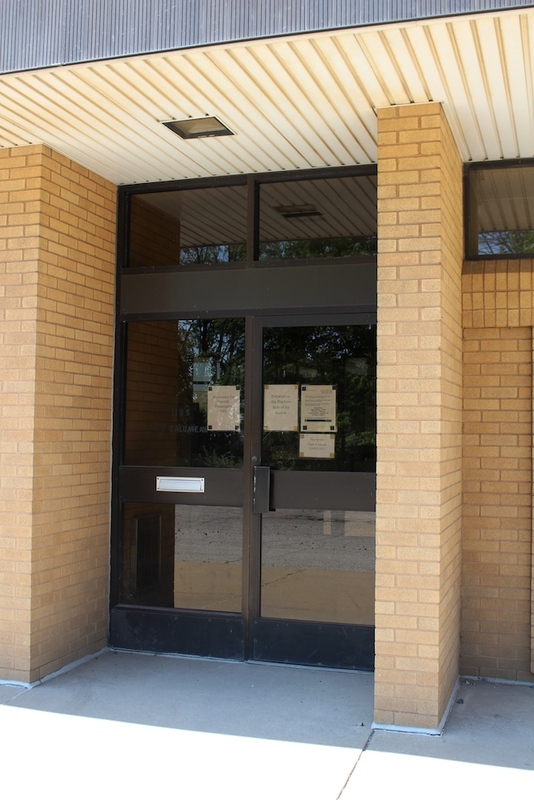 Since 2005 when the AmStation itself has been unstaffed, a caretaker still opens and closes the station today between Noon and 5:00pm Monday through Friday. 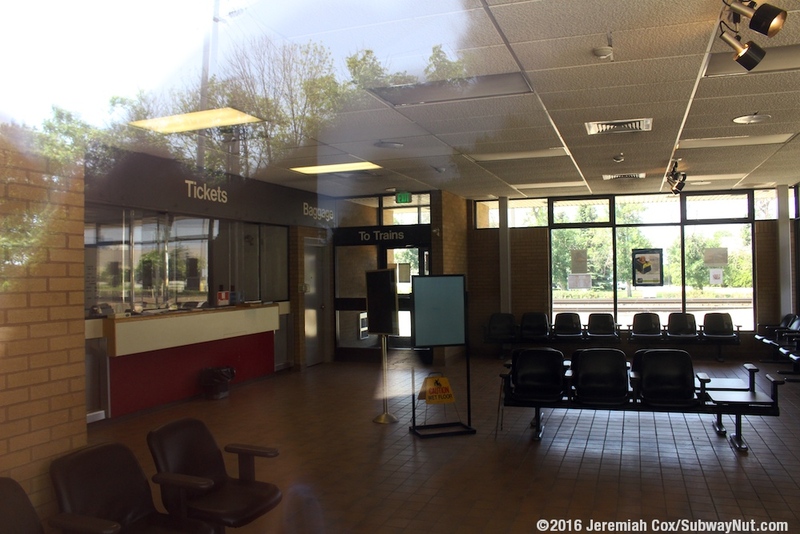 Peering in through the windows on a Saturday visit reveals a normal 1980s AmStation with white lettering for the Ticketing and Baggage (no longer available, and no attempts made to seal up the ticket office. The black attached benches look original. A pointless arrow is still on the black overhanging roofline. 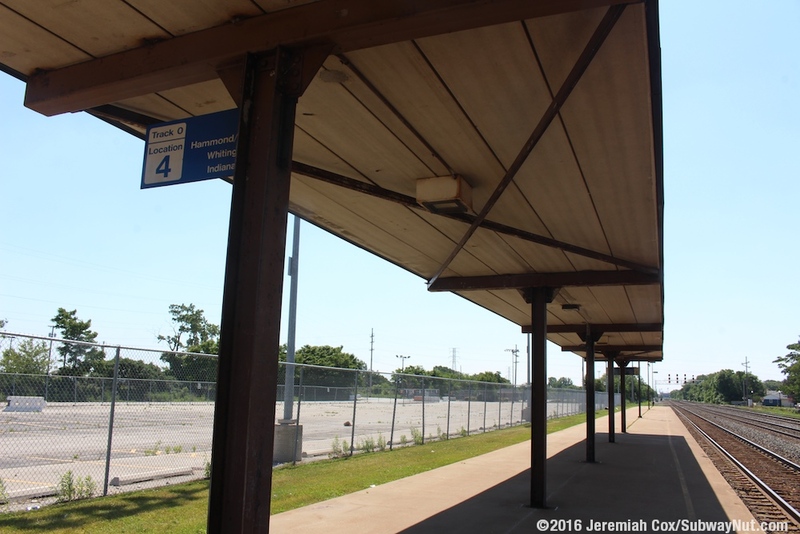 In the eaves of the station facing the platform is a mobile wheelchair lift (with exposed fencing) and a single blue bench that is all passengers boarding trains when the station isn't open can sit on. 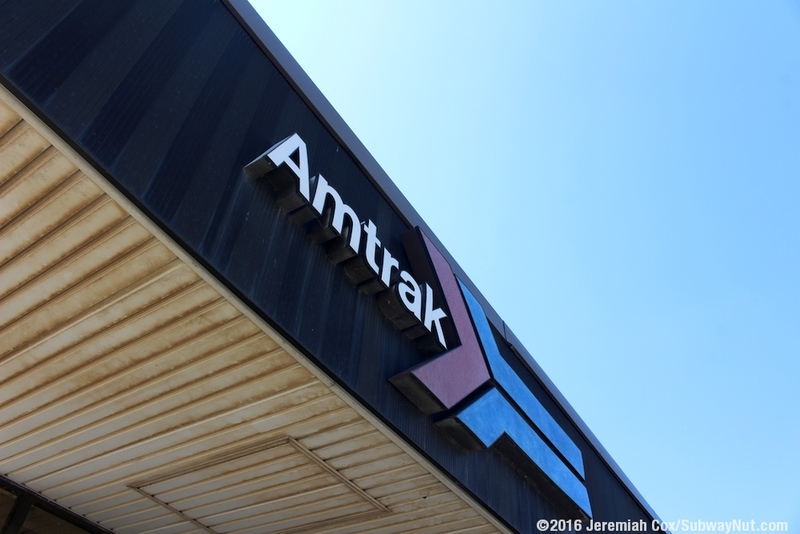 Surrounding the station, Amtrak claims there are 10 short-term and 103 long-term parking spaces. There were clearly more parking spaces when the station opened, although some have been fenced off and now see other uses.